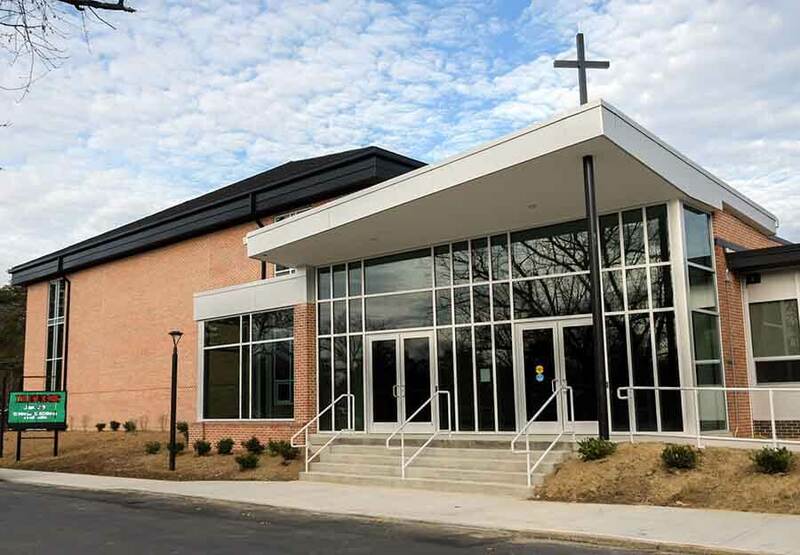 SEVERNA PARK – St. John the Evangelist Parish and School in Severna Park have grown with the opening of a shared 14,600-square-foot Parish Activities Center. 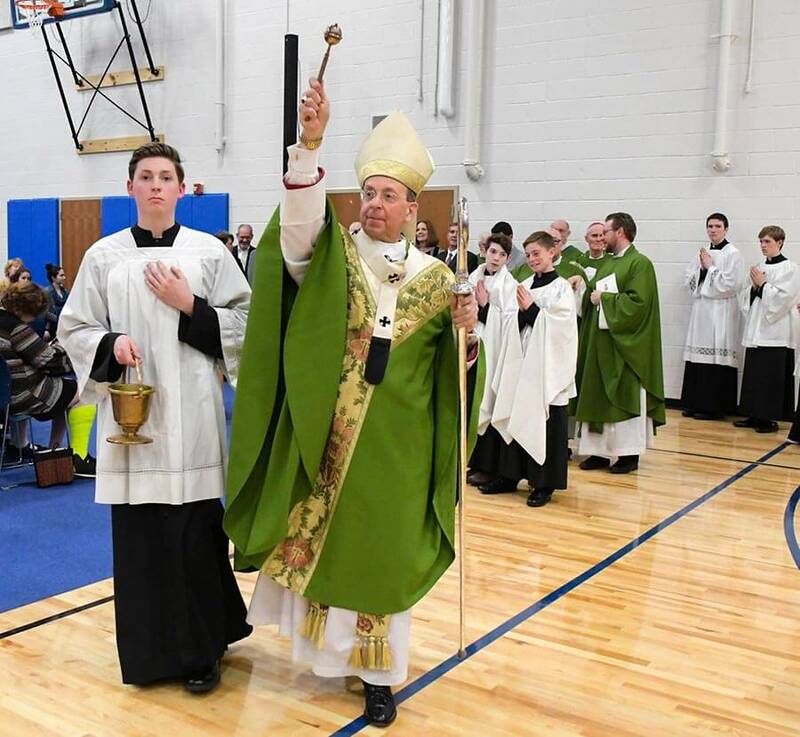 The pews and parking lot were packed with parishioners, school families and students in their red and grey uniforms Jan. 27, when Archbishop William E. Lori celebrated Mass and blessed the new building. The opening came just in time for students to celebrate Catholic Schools Week, which runs from Jan. 28 to Feb. 3. The focus of the Parish Activities Center, on the north side of the campus on Ritchie Highway, is the multipurpose room, which can be used for both spiritual events and sports. The 8,800-square-foot space can be divided, using an extendable wall, with one side being used for physical education classes, and the other for meetings. Without the divider, the Parish Activities Center’s maple hardwood floor is large enough for a high school basketball game. It can simultaneously accommodate two middle school games, or two volleyball courts. Electrically powered bleachers seat up to 260. The PAC has four floor-to-ceiling windows, paned with frosted glass, creating the shape of the cross and keeping the mission of faith at the center of all parish and school events. It includes a lobby, an 1,800-square-foot mezzanine, sound-deadening features, retractable basketball standards, storage rooms, offices and restrooms. Sherry Boomer, parent of eighth-grader Madison and alum Parker (now a junior at Archbishop Curley High School in Baltimore), recalled her time as a recess volunteer when the PAC’s footprint was a blacktop basketball court. Pre-K teacher and class of 2006 alum Stephanie Gorski has a keen appreciation for the impact of the institution. The thriving Anne Arundel County parish and school were in desperate need for new space, according to Father Jim Proffitt, pastor. The PAC is the first step in completing the parish’s master plan, which was first defined in 2008 but put on hold due to the economic downturn. Church renovations were to be done first, but after asbestos was found in the church ceiling, the master plan was altered. First came the building of the PAC, where Mass will be celebrated during a repair and remodeling of the church that is to come. The parish’s goal is to create a friendly, welcoming space. Church improvements will focus on adding light and accessibility for those with disabilities. The parish already offers childcare during Mass, staffed by paid providers, to make families feel more welcome. Father Proffitt said that the parish’s main mission is to form disciples. 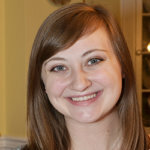 Emily Rosenthal is a staff writer for the Catholic Review. She is a lifelong resident of Maryland and a parishioner of St. John in Westminster. A love of learning inspired Emily’s path into the field of journalism. Her desire to continuously grow in her Catholic faith led her to writing for the Review, where she is dedicated to sharing the stories of the Archdiocese of Baltimore. Emily is a graduate of Delone Catholic High School in McSherrystown, Pa. She holds a bachelor's degree in business communication from Stevenson University and is currently pursuing a master's degree in nonfiction writing from The Johns Hopkins University.